In newly published research from the Carnegie Institution for Science, Alan Boss uses highly detailed, three dimensional models to help explain how the gas giant planets Jupiter and Saturn may have formed and evolved. Washington, D.C. — New theoretical modeling by Carnegie’s Alan Boss provides clues to how the gas giant planets in our solar system—Jupiter and Saturn—might have formed and evolved. His work was published recently by The Astrophysical Journal. 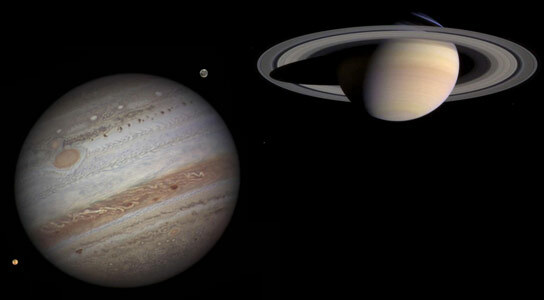 Be the first to comment on "How Jupiter and Saturn Formed and Evolved"